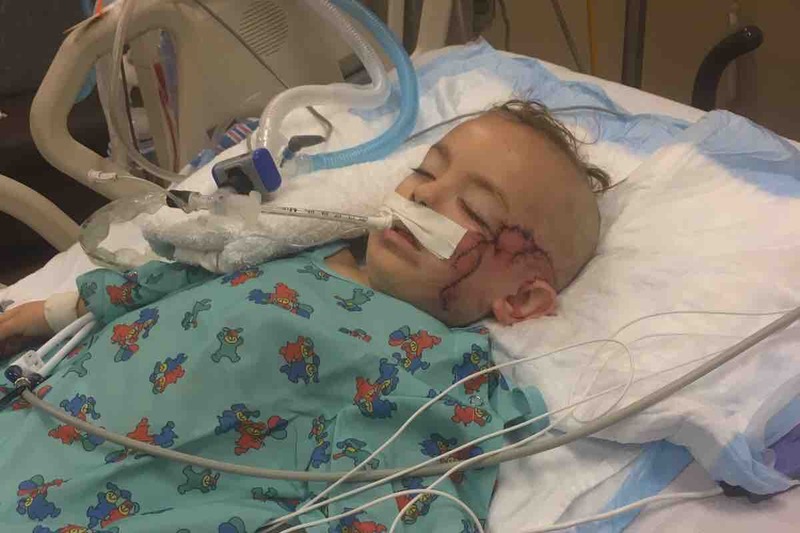 Dogs Bite Decatur Al: MELBOURNE FL - 3-YEAR-OLD ALYSSA BARTOLOTTA WAS GOING TO THE PARK WITH HER AUNT WHEN THEY STOPPED TO TALK TO A PERSON ON A FRONT PORCH ...A DOG RAN OUT AND TRIED TO RIP HER HEAD OFF!!! MELBOURNE FL - 3-YEAR-OLD ALYSSA BARTOLOTTA WAS GOING TO THE PARK WITH HER AUNT WHEN THEY STOPPED TO TALK TO A PERSON ON A FRONT PORCH ...A DOG RAN OUT AND TRIED TO RIP HER HEAD OFF!!! A toddler from Port St. Lucie is recovering in the hospital after being attacked by a dog Wednesday. Three-year-old Alyssa Bartolotta was with her Aunt, Francine Delvalle, in Melbourne for the day while her dad was at work as a barber back home. "She was definitely a trooper," Delvalle told WPTV. "It happened so fast. I never would've imagined that even could happen like that." Delvalle said they were on their way to play at the park but stopped by a friend's home first. Delvalle said as they stood on the front porch, a dog ran out of the front door and grabbed ahold of Alyssa by the face. The toddler was airlifted to Arnold Palmer Children’s Hospital in Orlando where she remains in serious condition. Alyssa was rushed into surgery to repair her fractured skull. "We are grateful that she's alive but we are still not out of the woods yet," said Alyssa's father, Anthony Bartolotta. "We need a lot of prayer that she doesn't get any infections and that she just has a speedy recovery." Bartolotta works as a barber in Port Saint Lucie. He is out of work while by his daughter's side. Alyssa’s family describes her as a very bright little girl who adores and helps care for her older, special needs brother. "We need as much help as possible. It’s going to be a rough road ahead. She’s unbelievable, she’s my hero for real," said Bartolotta. Alyssa’s father said if she doesn’t develop any infection, doctors are hopeful she will be released from the hospital next week. He said this initial recovery is their only focus right now, but she will be in need of facial plastic surgery to repair nerve damage. The family has set up a GoFundMe page to help with medical bills. To donate, click here. That dog, meanwhile, was euthanized Friday.